Daniel Cleland of the Jungle Jam Podcast, interviewed Rebecca Nelson, co-founder of Nelson and Pade, Inc.® about aquaponics and controlled environment agriculture. 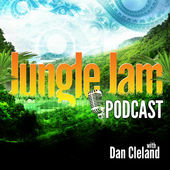 The Jungle Jam Podcast covers interesting and innovative topics related to sustainability, green living and jungle adventures! Listen now to see how aquaponics fits perfectly into the Jungle Jam discussion. Listen now (Free) on ITunes! 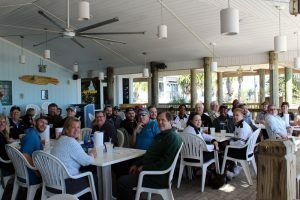 A Successful Aquaponics Master Class®…at the Beach! Ou r Aquaponics Master Class® is a very comprehensive, science-based, straightforward and honest look the technology of aquaponics and the aquaponics industry. To date, we have had attendees from 101 countries and all 50 US states join us for the class. Most of our Master Classes take place at our greenhouses in Wisconsin where we have beautiful facility showcasing our Clear Flow Aquaponic Systems®. We are very proud to share it with visitors any time of year. However, in January, we hosted a Master Class on St. George Island in the Florida panhandle. Why, you ask? Because the weather in Wisconsin in January is terrible! 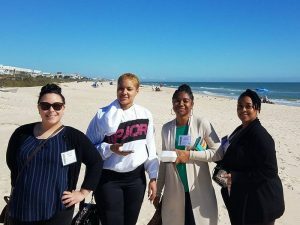 The January class took place in a beautiful location right on the beach. St. George Island is a barrier island along Florida’s “Forgotten Coast.” With miles and miles of pristine beaches and no high-rise buildings, it is quiet, quaint and incredibly peaceful. Without the greenhouse to tour in person, we did the next best thing. 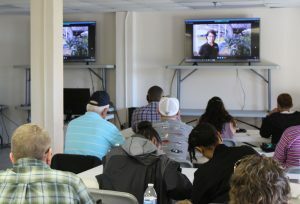 We brought the greenhouse to our attendees at the beach via live video and virtual 3-d tours. We also brought the N&P Team! Oliver Baysinger and Tim Dobbins were on St. George Island teaching with John and I. The rest of the team participated via video conference. Twice a day, Jannel Dunn brought us live updates, company news, demonstrations and interviews with key staff and UWSP’s Dr. Hartleb. The course turned out great. The participants were very enthusiastic and a wonderful group of people. It i s really the experience that we share, the knowledge that we impart and the passion that we demonstrate that makes our Master Class the best aquaponics course in the industry. Our “remote” class turned out great for all involved. Taking breaks for beach walks and having lunches at the Blue Parrot made it that much better! Based on the success of this class and the feedback we received from attendees, we will offer this again in the future. If you want to learn about aquaponics and love the beach, plan to join us next winter for a beach-side Aquaponics Master Class®. In the meanwhile, we have our next Aquaponics Master Class® coming up in Wisconsin March 9-12, just as the harsh days of winter begin to fade.